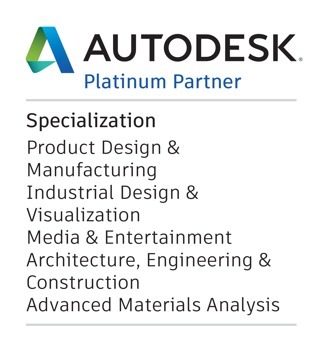 Customers who subscribe to a new Autodesk subscription of any of the eligible products for 12 months or more between August 7, 2018 and October 19, 2018 (dates inclusive) can add a further new subscription (incremental seat/license) of the same or lesser value product at a promotional discount of up to 30% off*. Existing customers who renew a subscription contract of any of the eligible products between August 7, 2018 and October 19, 2018 (dates inclusive) can add a further new subscription of the same or lesser value product at a promotional discount of up to 30% off*. Customers need to renew all expiring subscriptions within the same contract before purchasing the promotional discounted new subscription. The promotional discount applies to new purchases only. MicroGenesis is a 20 year old CAD/CAM/CAE and BIM Solutions company with a pan-India presence. We offer software, training, support, consulting and services. Working closely with Autodesk, we provide the best solutions for your design challenges. Privacy | Legal Notices & Trademarks | © 2017 Autodesk, Inc. All rights reserved. AUTODESK RESERVES THE RIGHT TO CANCEL, SUSPEND OR MODIFY PART OR THIS ENTIRE PROMOTION AT ANY TIME WITHOUT NOTICE, FOR ANY REASON IN ITS SOLE DISCRETION. PRICES FOR AUTODESK SOFTWARE ARE SUBJECT TO CHANGE AND MAY VARY BY COUNTRY. * A dvertised d iscounts a nd s avings a re b ased o n S RP. S RP i s A utodesk’s s uggested r etail p rice (excluding f reight, h andling a nd t axes) f or t he specified p roduct in y our r egion. S RP i s u sed f or r eference purposes only and may not be in local currency. Actual retail price is determined by your reseller, and is subject to currency fluctuation. Offer subject to reseller participation. Channel partners are independent and free to set their own prices. Reseller prices may vary. Autodesk, the Autodesk logo and Autodesk®, AutoCAD®, are registered trademarks or trademarks of Autodesk, Inc., and/or its subsidiaries and/ or affiliates in the USA and/or other countries. All other brand names, product names, or trademarks belong to their respective holders. Autodesk reserves the right to alter product and services offerings, and specifications and pricing at any time without notice, and is not responsible for typographical or graphical errors that may appear in this document. © 2018 Autodesk, Inc. All rights reserved.